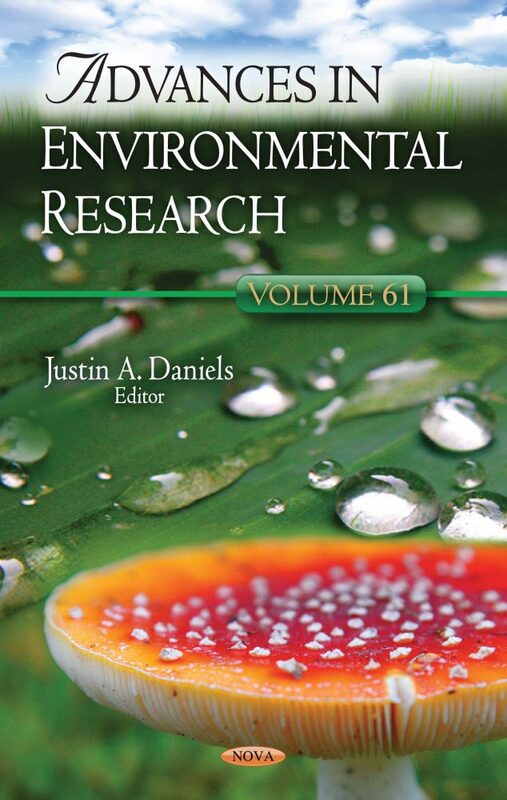 Advances in Environmental Research. Volume 61, the authors present a practical, theoretical approach for systemic landscape planning strategies that incorporate a synergistic view of nature and culture in the process of continuous construction of the landscape, while stressing the reality of urban growth in developing countries. This study was established through a technical analysis of the urban context and biophysical dynamics in correlation with with a social participation method. Afterwards, a report on various species employed in bio-monitoring campaigns: mussels, oysters and clams, algae, vegetables, lichens, mosses is offered. The numerous investigative techniques applied are critically examined, focusing on analytical performance in terms of accurateness and detectability. The authors also discuss applications of remote sensing technology to improve local and regional water governance programs, maintaining that the implementation of remote sensing techniques in water governance frameworks is essential due to their synoptic views which allow us to monitor large areas and thereby improve spatial and temporal management. Following this, deforestation and savanna development in Ghana is examined, with the contention that the current knowledge is incomplete because several gaps exist in the prehistoric, precolonial, and colonial landcover. The authors also go on to review the current changes in wetlands in the five US-Gulf states, the subsequent impact on carbon sequestration, the general function of wetlands in the Gulf of Mexico, the way this contributes to global warming, and the way this mitigates global warming. Later, a study is presented with the goal of exploring residents’ sense of place in post-conflict area of Africa, with the goal of supplying information that may guide policy makers in the enhancement of the economic and social welfare of the people in the study area. The compilation ends with a description of numerous causes of uncertainties in forest biomass estimation procedures using optical remote sensing and terrestrial forest inventory data-sets. These uncertainties are typically generated due to spatial resolution and information content on satellite imagery.